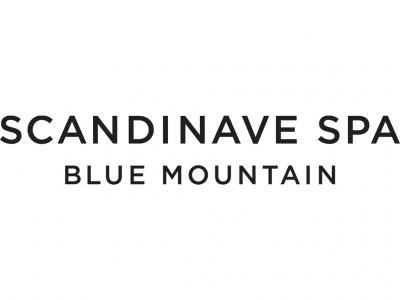 The award-winning Scandinave Spa Blue Mountain offers the renowned Scandinavian Baths experience. Situated in a natural forest, minutes from downtown Collingwood & Blue Mountain Resort and open all year from 9 am – 9 pm (Baths open at 10 am), guests enjoy the serenity of the environment. The Baths include Finnish and Infrared Saunas, Eucalyptus Steam Room, Thermal & Nordic Waterfalls, Hot Baths, Cold Plunges & relaxation areas. Also available are Registered Massage treatments, relaxing getaway packages & an on-site bistro serving healthy local fare. Access to the Baths start at $55 (weekly “Unwind Wednesdays” only $45), Massage Treatments start at $145 for 60 minutes (includes access to the Baths). Bathing suits mandatory, guests must be 19+ years old. Open from 9 a.m. to 9 p.m. daily, with the Baths opening at 10 a.m.